Clifford J. Ruddle, DDS, discusses the importance of active irrigation. This CE activity was not developed in accordance with AGD PACE or ADA CERP Standards. CEUs for this activity will not be accepted by the AGD for MAGD/FAGD credit. Barry L. Musikant, DMD, presents a case supporting the concept that less is more. 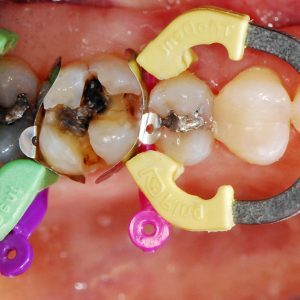 Clifford J. Ruddle, DDS, discusses how system-based endodontics has now become a clinical reality. John A. Khademi, DDS, MS, et al talk about the importance of image-guided endodontics as a new minimally invasive and directed approach to care. David A. Beach, DDS, MS, addresses some of the types of postoperative problems that can be encountered in endodontics, as well as how to minimize and manage them. This CE activity was not developed in accordance with AGD PACE or ADA CERP Standards. CEUs for this activity will not be accepted by the AGD for MAGD/FAGD credit. 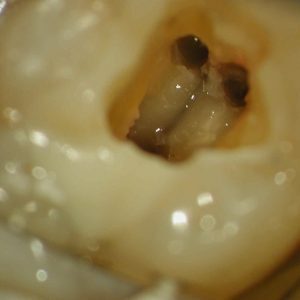 Clifford J. Ruddle, DDS, discusses the endodontic triad for success, focusing on the role of current and future technologically driven methods that will better enable 3-D cleaning and filling root canal systems. This CE activity was not developed in accordance with AGD PACE or ADA CERP Standards. CEUs for this activity will not be accepted by the AGD for MAGD/FAGD credit. Ali Allen Nasseh, DDS, MMSc, and Dennis Brave, DDS, describe a novel clinical technique for retrofilling the apicoectomy procedure that dramatically improves the efficiency of the operation. This CE activity was not developed in accordance with AGD PACE or ADA CERP Standards. CEUs for this activity will not be accepted by the AGD for MAGD/FAGD credit. David A. Beach, DMD, MS, discusses how proper measurements of both instruments and filling materials relate to successful therapy. This CE activity was not developed in accordance with AGD PACE or ADA CERP Standards. CEUs for this activity will not be accepted by the AGD for MAGD/FAGD credit. 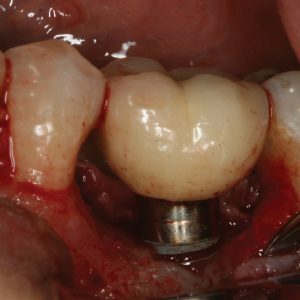 Clifford J. Ruddle, DDS, focuses on the preparation of narrower, longer, and more curved canals This CE activity was not developed in accordance with AGD PACE or ADA CERP Standards. CEUs for this activity will not be accepted by the AGD for MAGD/FAGD credit. Allen Ali Nasseh, DDS, MMSc, and Dennis G. Brave, DDS, introduce a new instrumentation and obturation system and talk about its role in increasing efficiency for the clinician. This CE activity was not developed in accordance with AGD PACE or ADA CERP Standards. CEUs for this activity will not be accepted by the AGD for MAGD/FAGD credit. John West, DDS, MSD, discusses 10 myths in endodontics. This CE activity was not developed in accordance with AGD PACE or ADA CERP Standards. CEUs for this activity will not be accepted by the AGD for MAGD/FAGD credit. Lisa Germain, DDS, presents a variety of mini case reports, discussing a game winning philosophy for success. This CE activity was not developed in accordance with AGD PACE or ADA CERP Standards. CEUs for this activity will not be accepted by the AGD for MAGD/FAGD credit. Clifford J. Ruddle, DDS; Pierre Machtou, DDS, MS, PhD; and John D. West, DDS, MSD; introduce new technologies for glide path management and for shaping canals. This CE activity was not developed in accordance with AGD PACE or ADA CERP Standards. CEUs for this activity will not be accepted by the AGD for MAGD/FAGD credit. William Nudera, DDS, MS, outlines the use of CBCT technology to properly identify and treat a necrotic maxillary central with very unusual anatomy. This CE activity was not developed in accordance with AGD PACE or ADA CERP Standards. CEUs for this activity will not be accepted by the AGD for MAGD/FAGD credit. L. Stephen Buchanan, DDS, reviews current cutting tools and exciting new developments that will be coming soon. This CE activity was not developed in accordance with AGD PACE or ADA CERP Standards. CEUs for this activity will not be accepted by the AGD for MAGD/FAGD credit. Lisa Germain, DDS, presents a discussion on the diagnosis and treatment of patients presenting with tooth resorption. This CE activity was not developed in accordance with AGD PACE or ADA CERP Standards. CEUs for this activity will not be accepted by the AGD for MAGD/FAGD credit.